Today's article is a guest post from my friend, Aaron Contino. 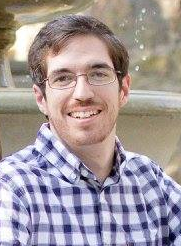 Aaron is the children's ministry director at The Blue Church in Brookhaven, Pennsylvania. He also works as a ministry leader with Child Evangelism Fellowship. He has been serving in children's ministry for over 15 years. Aaron is participating in a 6-month coaching program with me. 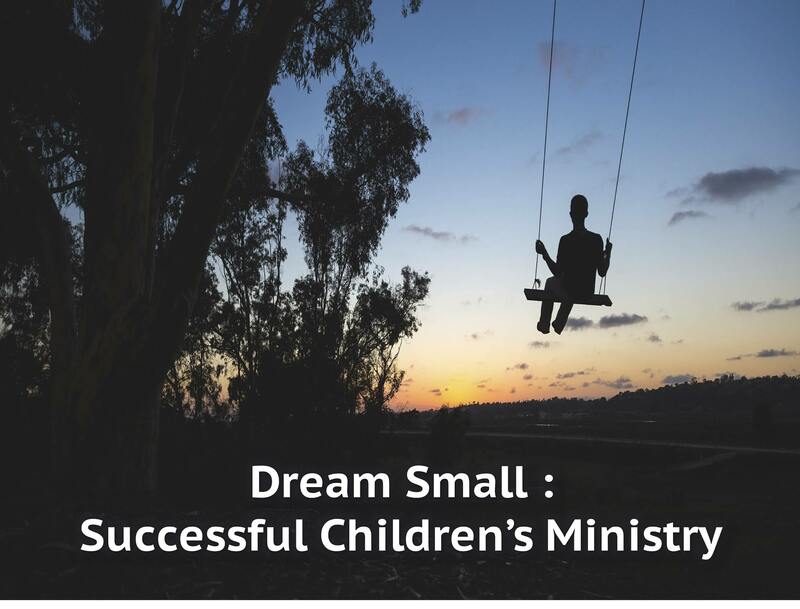 If you are interested in being part of a coaching program for children's ministry leaders, you can get more information at this link. The next coaching group will start up in January and we are accepting applications now. I am excited about what God is doing in Aaron's ministry. He has a big heart for the next generation. In this article, he reminds us that success is not just about numbers, but about being faithful in the small, everyday tasks and responsibilities. Children's ministries have an obsession with numbers. These statistics are used to determine the success of the ministry. Whether it's the number of visitors, volunteers, baptisms, professions of faith or programs, this preoccupation with numbers leads to unhealthy comparison which is stealing the joy of ministry leaders. Smaller churches and ministries cannot sustain and support large numbers and many are led to feel like failures. While statistics can be an effective gauge for success, true success can never be measured. When feeling small and inferior, ministry leaders become discouraged and lose the vision God has called them to. This was what the Israelites felt after returning from decades of captivity in Babylon. Solomon's Temple was now in ruins and with determination they started to rebuild it. But with a lack of resources, they felt defeated and even wept in remembrance of the former temple. With increased hostility surrounding them and declining morale, the project came to a halt. God used the prophet Zechariah to speak just what the Israelites needed to hear. He says, "Not by might nor by power, but by My Spirit," says the Lord Almighty. Even though they felt weak, God was showing that the smallest of actions, used by the power of God are anything but inferior. Their actions were paving the way for the Messiah, the Savior of the world. The results of this work was not seen for half a millennium. Do not despise the day of small things; what a powerful statement. If few resources and small numbers can be used to usher in the Messiah, God can make you successful right where you are. Dream Small. That's what Christian artist Josh Wilson offers as a solution. In his best-selling single of the same name he sings, "Dream small / Don't Bother like you've gotta do it all / Just let Jesus use you where you are / One day at a time...Of course, there's nothing wrong with bigger dreams / Just don't miss the minutes on your way to bigger things, no / 'Cause these simple moments change the world." God calls His Church to be a grand vision full of small moments which are easily forgotten amidst the panorama of comparison and numbers. These moments cannot be measured, and God never loses count. "Success is doing our work one task at a time, one step at a time, one moment at a time, relishing the smallness of it while trusting God for the power to change the world through chain reactions of blessings that we'll recognize only in heaven. Next time you are feeling small and inferior and that your numbers don't measure up, remember that true success is God's eyes is relishing and finding joy in the small things each and every day." Next time you are feeling small and inferior and that your numbers don't measure up, remember that true success in God's eyes is relishing and finding joy in the small things each and every day.